The planet is on the edge, especially with the 5G global implementation which has started, and the digital ID gaining traction. The clock is ticking faster every day. Please make this blog viral. Thank you! 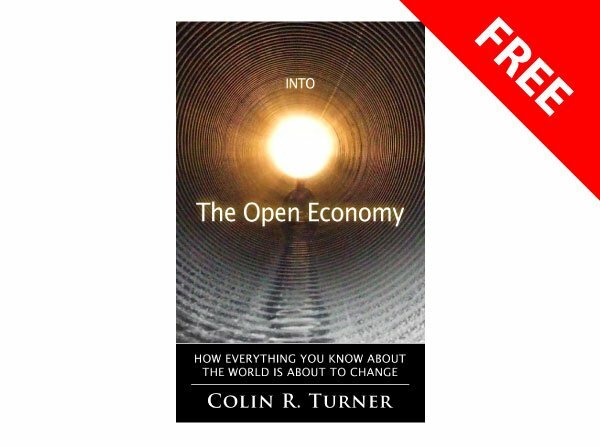 COLIN TURNER: The highest concern of humanity is the combined common good of all living species and biosphere. EARTH CUSTODIANS: Yes, and also because we all are passing by, our condition is temporary, in time and space. Selfishness is absolutely nonsensical. The planet still has 100s of 1000s of years to live, if we do not destroy her with cupidity. This also is the best anti-war argument ever. This mindset is essential to dismantle all standing armies for good. There is no logic in supporting the massive destruction of wars. Let’s take that one step further: the thinking that we are better than animals is what causes a divide between humans, prompts humans to think the same way about other humans. I am more worth than you so to speak. Racial discrimination comes to mind and is a direct consequences of such a faulty mindset. Open borders is the long term-goal as nations were created to suit monetarism, and currency war and manipulation, immigration, which today are definitely huge issues. Unbiased education is a priority, and why the choice of a money-free society must be taught in elementary schools, as we indeed have more than 2000 years of history documenting the imperative decision of the move toward Voluntaryism. Always keeping the focus on strategies to do more with less to eradicate obsolescence and unnecessary waste. Speaks by itself. Nature can only process a limited amount of it. Always making sure that we do not rush into any direction without weighing downsides and upsides. Because time is money in our current world, rushing adds many layers of conflicts, keeping crowds in a state of alienation. When money does not drive the ego, people generally find their true purpose in life and follow their hearts. Such people are always more compassionate and will generously contribute without being told what do do as they will also have a good grasp about what volunatryism entails. Our global economy speaks by itself… we have indebted several future generations because monetarism creates so many problems that more money is required deal with the latter, while never being able to fix them. Monetarism only rewards money creation, hence problems get out of control.